Many people decide to become DJs because it gives them the opportunity to feel like a rockstar, if only for a moment. There’s a certain appeal that comes along with seeing thousands of people in a crowd, being rocked by someone mixing two songs together. We get a rush of adrenaline, seeing crowd cheer on a turntable master like Q-bert. But that starry-eyed excitement only propels us so far. 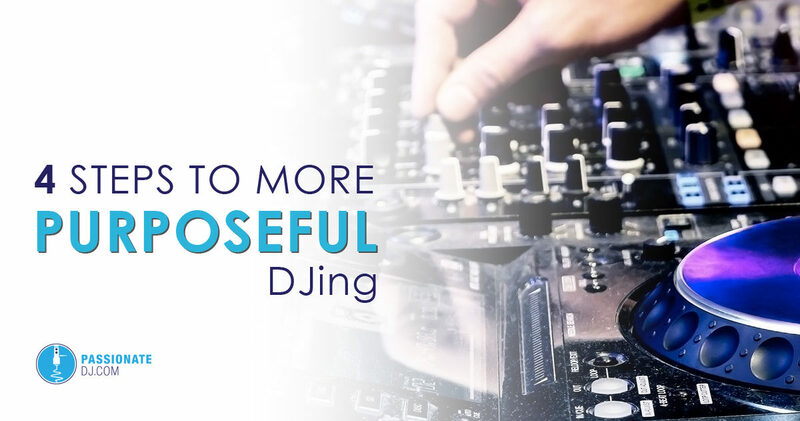 Most DJs will plateau and some point, both in regards to skill and to career advancement. Even a lot of “bedroom-only” DJs can feel stagnant and empty, watching their turntables collect dust in the corner and wondering if they are simply over that phase in their life. It’s easy to become jaded. What’s missing here is a desire to get serious about purpose. I’ve seen small dance-music communities rebuilt from the ground-up based on this sort of like-minded group effort (including those in my home town). And some of that effort has lead to more, better gigs for me. And my skills have come in handy for many local promoters and DJs in my area. I’ve seen first hand that, so long as you get the right heads together, this stuff works. Accept criticism, and move on. Drama is only a distraction. Be professional. Taking charge of your DJ career, and treating it like a business (or, a brand) gives you a huge leg-up. Instead of emulating your heroes, ask yourself “What problem am I trying to solve?” or, alternatively, “What audience am I trying to serve?” Discover the value you offer as a DJ, and find the audience that needs it.